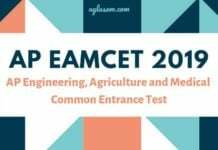 AP EdCET 2019 – Andhra Pradesh State Council of Higher Education has scheduled to conduct AP Edcet on May 6, 2019. AP Education Common Entrance Test-2019 (AP EdCET 2019) is conducted by Sri Venkateswara University, Tirupati for B.Ed admission in the Colleges of Education in Andhra Pradesh State for the academic year 2019-2020. The application form of AP EdCET 2019 is out now, the last date to fill the application form without late fee is April 24, 2019. Eligible candidates shall be required to attempt 150 questions in online mode for a duration of 2 hours. To know more about AP EdCET 2019, a candidate can keep reading! 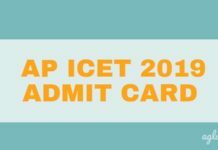 Latest: The application form of AP EdCET 2019 is available now. Click here to fill the same. Only Indian Nationals should be eligible for appearing in AP EdCET 2019 who also fulfil the certain other criteria. The schedule of AP EdCET 2019 events are out now, candidates can start preparing accordingly as per the mentioned below in the table. Schedule for the AP EdCET 2019 is given below. Declaration of Preliminary Key To be announced! Last Date for receiving of objections on Preliminary Key To be announced! Candidates need to make sure that they are eligible for appearing in AP EdCET 2019. Ineligible candidatures shall be cancelled by Sri Venkateswara University, Tirupathi on behalf of APSCHE, Amaravati. He/She should be Indian Nationals. He/She should satisfy Local/Non-Local status requirements as laid down in the Andhra Pradesh Educational Institutions (Regulation of Admission) Order 1974 as subsequently amended. Candidates should have passed/appearing for their graduation level B.A./B.Sc./B.Sc. (Home Science)/B.Com./ B.C.A./B.B.M. at the time of submitting the Application for APEd.CET-2019. Candidates should be required to produce marks memo and pass certificate at the time of admission. Candidates should have secured a minimum of 50% marks either in the Bachelors Degree i.e. B.A./B.Sc./B.Sc. (Home Science)/B.Com./B.C.A./B.B.M and or in the Postgraduate Degree in relevant subject or 5 years integrated course in the relevant subject of methodology or any other qualification equivalent thereto. However, the candidates belonging to other reserved categories i.e. S.C., S.T., B.C. (A/B/C/D/E), and physically handicapped should have secured a minimum of 40% marks in the qualifying examination. Note: The candidates who passed B.E / B.Tech with a minimum of 50% marks, with Mathematics, Physics are eligible for admission into the Course. Physical Sciences Candidates with B.Sc. who have studied Physics and Chemistry or Allied Material Sciences under Part-II group subjects or B.C.A. candidates with Physical Sciences (Physics and Chemistry) at the intermediate level as group subject. Biological Sciences Candidates with B.Sc./B.Sc. (Home Science) who have studied Botany and Zoology or Allied Life Sciences under Part-II group subjects or B.C.A. Candidates with Biological Sciences at the intermediate level as group subjects. Social Studies All candidates with B.A./B.Com./B.B.M. or B.C.A. Candidates with Social Sciences at the intermediate level as group subject. English Candidates with B.A Special English or M.A. English. The Application Form for AP EdCET 2019 is available now on the official website or the direct link is also provided in the ‘Application Form page’. Before applying for AP EdCET, one must ensure the eligibility criteria carefully. Candidates are requested to fill the particulars carefully in Online Application Form. Mode of Payment – Online (Debit Card/Credit Card/Net Banking). A candidate is required to take the 4 steps while filling the AP EdCET 2019 application form, namely fee payment, payment status, fill application details and print the application form. Candidates need to fill the application form of AP EdCET 2019 in online mode only. 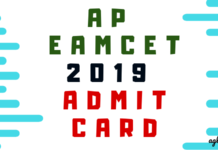 The AP EdCET 2019 admit card will be available on the official website, sche.ap.gov.in. SKU shall release the admit cards for the exam in online mode over applicant’s login. A candidate will require payment reference id, registration number, the hall ticket number of the qualifying exam, mobile number and date of birth. SKU advises all candidates to store the admit cards safely after the exam has been conducted for future reference. The Common Entrance Test is going to be held across these test centres. However, Convener reserves the right to allot candidates to any other center (s) in unavoidable circumstances. The common entrance test will be of objective type (multiple choice) examination. The candidate has to answer 150 questions in two hours time. The medium of Entrance Test: The question paper will be in English and Telugu except for English methodology. However, candidates opting to write the Entrance Test in Urdu medium will be served with Urdu paper and such candidates shall opt Kurnool as Test Centre. Candidates who wish to appear for AP EdCET shall start their preparations, as per the syllabus mentioned below. Candidates need to prepare/practice the following – Reading Comprehension; Correction of Sentences, Articles, Prepositions, Tenses, Spelling; Vocabulary, Synonyms, Antonyms; Transformation of Sentences – Simple, Compound and Complex; Voices, Direct Speech, and Indirect Speech. In this section, a candidate’s general knowledge of the environment or current affairs knowledge will be assessed, which is mentioned below in Point. Questions will be designed to test the ability of the candidate‟s general knowledge of the environment around him and its application to society. The test will also include questions relating to India and its neighbouring countries especially pertaining to History, Culture, Geography, Ecology, Economics, General Policy and Scientific Research. Teaching requires certain characteristics like ability to communicate, ability to deal with Children, ability to recognise individual differences etc., apart from analytical thinking and general intelligence. One who has these characteristics will be able to become a good teacher after training. Questions relating to these aspects will be included to test one’s teaching aptitude. As per the subject opted for, a candidate will be assessed on their knowledge of either Mathematics, Physical Sciences, Biological Sciences, Social Sciences or English. A candidate should have a graduation level knowledge in any of these subjects. In the case of English subject, Syllabus pertaining to English for Classes VIII, IX and X and that for the Two-Year Intermediate course of A.P-50 Questions from language functions, elements of phonetics, grammar, phrasal verbs (idioms), writing skills, study skills, reference skills and Syllabus prescribed for Optional English at B.A. Degree Level (B.A.Special English)/Modern Literature Syllabus in English-50 Questions. Admission to 85% of the seats in each methodology shall be reserved for the local candidates and 15% of the seats shall be left unreserved as specified in the Andhra Pradesh Educational Institutions (Regulations and Admissions) Order 1974 as amended in G.O.P.No.646 Education (W) Department. The part of the State comprising the districts of Srikakulam, Vizianagaram, Visakhapatnam, East Godavari, West Godavari, Krishna, Guntur, and Prakasam shall be regarded as the Andhra University-Local Area. The part of the State comprising the districts of Anantapur, Kurnool, Chittoor, Kadapa, and Nellore shall be regarded as the Sri Venkateswara University-Local Area. All the districts of Telangana shall be regarded as the Osmania University-local area. In respect of State-wise Institutions, i.e., Sri Padmavathi Mahila Viswa Vidyalayam, Tirupati, admission to 85% of seats, in each methodology shall be reserved for the candidates belonging to the two local areas in the state, namely Andhra University Area and Sri Venkateswara University Area and the balance of 15% of seats shall be left for the open competition. If he/she has studied in an Educational Institution or Educational Institutions in such local area for a period of not less than four consecutive academic years ending with the academic year in which he/she appeared or as the case may have first appeared in the relevant qualifying examination. Where, during the whole or any part of the four consecutive academic years, ending with the academic year in which he/she appeared or as the case may be the first case may be first appeared for the relevant qualifying examination, he/she has not studied in Educational Institutions, if he/she resided in the local area for a period of not less than four years immediately preceding the date of commencement of the relevant qualifying examination in which he/she appeared or as the case may be first appeared. (B) A candidate for admission to the course who is not regarded as the local candidate under the given above in relation to any local area shall be as the local candidate. Where the period of his/her study in two or more local areas is equal, such local area where he/she has studied last in such equal periods. Where the periods of his/her residence in two or more local areas are equal, such local area where he/she resides last in such equal periods. (C) The following categories of candidates are eligible to apply for admission to the remaining 15% of unreserved seats. All the candidates eligible to be declared as local candidates. Candidates who have resided in the State for a total period of ten years excluding periods of study outside the State. Candidates either of whose parents is in the employment of this State or Central Government, Public Sector Corporations, Local Bodies, Universities and similar other quasi-public institutions within the State at the time of submitting the application. Candidates who are spouses of those in the employment of the State or Central Government, Public Sector Corporations, Local Bodies, Universities and Educational Institutions recognized by the Government or University OR other competent authority and similar quasi-Government institutions within the State. (D) If a local candidate in respect of local area is not available to fill any seat reserved or allocated in favour of a local candidate in respect of that local area, such seat shall be filled in as if it has been unreserved. Note: For details see the Andhra Pradesh Education Institutions (Regulations and Admissions) Order, 1974 as amended in G.O.P. No. 646, Edn. (W). APSCHE will release the result of AP EdCET over its official website i.e sche.ap.gov.in. It shall announce the result in the form of issuing individual AP EdCET 2019 rank card. Candidates who have appeared for AP EdCET 2019 will be able to download the same, by entering their registration number, hall ticket number and date of birth. The qualifying mark of AP EdCET 2019 is 37 marks out of total marks or 25% of marks. Note that, there were no minimum qualifying marks for women in Physical Sciences / Mathematics methodologies and SC/ST candidates. The rank obtained in AP Ed.CET-2019 is valid for entry into B.Ed. course for the academic year 2019-2020 only. In case of two or more candidates end up getting the same marks, APSCHE intends to resolve the tie situation in the following way. Marks secured in Part C will be taken into consideration. If the tie remains, then the marks secured in Part A will be considered. In case of candidates getting equal marks in each of the parts of the test paper, they shall be bracketed for the purpose of an award of rank. At the time of admission into the course, age shall be taken into consideration for relative ranking among the bracketed candidates and the older candidates shall be given priority. The Convener or/and the Common Entrance Test Committee reserve the right to reject the application of a candidate at any stage, if. the candidate fails to satisfy the prescribed eligibility conditions. false or incorrect information is furnished. The Convener is not responsible for the non – submission of application by the notified date and time for any reason whatsoever. The Candidate should preserve the hall ticket to produce it at the time of test and later at the time of entry into the course. Applicants should download their hall tickets from website https://sche.ap.gov.in/edcet only. 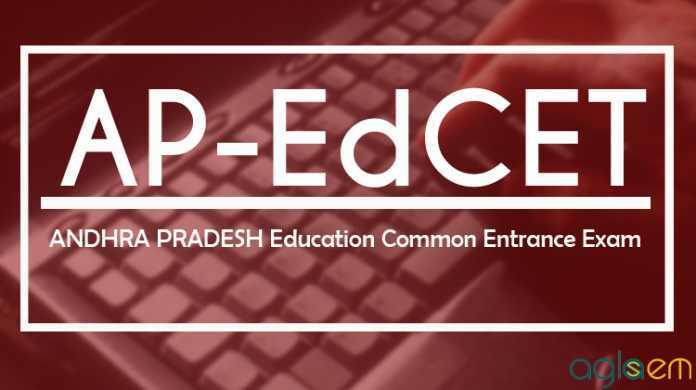 The appearance at AP Ed.CET – 2019 does not entitle any candidate to be considered for entry into the course automatically. The rank obtained with the benefit of relaxation of minimum qualifying marks at the AP Ed.CET-2019 by any candidate, claiming to belong to SC/ST category, will be cancelled in case the claim is found to be invalid later or at any point in time. The selection of candidates and allotment to colleges will be on the basis of rank obtained at the Common Entrance Test and other conditions laid down. In any litigation, the party to be impleaded shall be the Convener of the AP Ed.CET-2019 only and this shall be subject to the jurisdiction of High Court of A.P. Candidate shall with utmost precaution chose the methodology subject under PART-C of the question paper attempted based on the subjects he/she has studied at degree or postgraduate level as the case may be. Convener, APEdCET-2019 is not responsible for the wrong selection of the methodology subject to be attempted under PART-C of the entrance test. For more details on AP EdCET 2019, a candidate can download the information brochure.